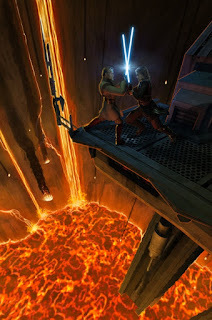 STAR WARS AFICIONADO WEBSITE: THE 'SITH' AT TEN: ON THE PRECIPICE! 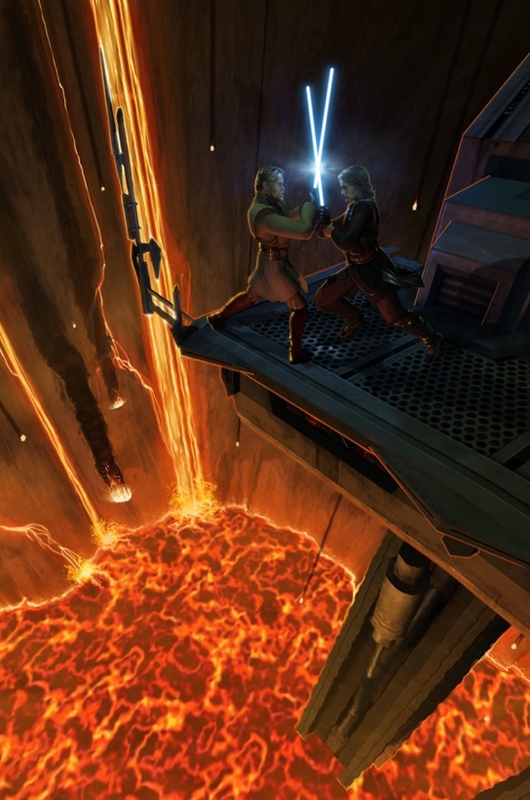 As the galaxy goes amok, so too does the once friendship and trust between Jedi Master and former pupil- the fires of Mustafar the perfect setting for a battleground of hatred shown by Anakin Skywalker towards Obi-Wan Kenobi during the closing section of EPISODE III, as represented in this great promotional artwork (which I personally hadn't previously seen) for the Playstation 2005 video game. If anyone knows who the artist is, please get in touch.